Installing Gutters: DIY or Hire a Professional? If you live in the same home for quite a while, there may come a time when you determine that you need to have your gutters replaced. Hopefully, this realization occurs before your home falls victim to rotting siding, deteriorated landscaping, a flooded basement, or significant foundation damage. Regardless of when you choose to replace your gutters, you must answer a pivotal question before moving forward: are you going to take on this project yourself, or pay someone else to handle it for you? If you’re an avid do-it-yourselfer, the first option is certainly tempting. After all, gutter replacement is one of those projects where all of the supplies, materials, and tools are readily available at any home improvement or hardware store. 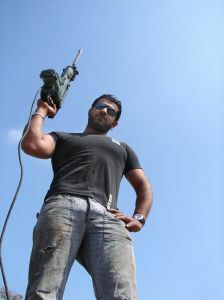 You don’t need to rent special equipment, and the entire job can probably be completed in a day (or even an afternoon). DIY gutter installation affords you financial, timetable, and design flexibility. Not only can you eliminate any per-hour labor costs that are figured into a contractor’s invoice, but you can also complete the work on your own time without having to arrange your schedule to be at home while the work is done. And if you want a gutter design or color that is out of the ordinary, you won’t be hamstrung by the limited options presented by any one gutter installer. On the other hand, hiring an experience gutter installation contractor might be a wiser choice. Chances are, most DIY projects you undertake don’t involve being several feet above the ground, perched either on a roof or atop a ladder. And if you’re one of the tens of thousands of people who fall from ladders or roofs each year and must visit an emergency room, any cost or time savings you planned on are wasted. Plus, hanging gutters is not as easy as it may appear. If you install gutters with too steep or gentle a pitch, the runoff water won’t flow properly to your downspouts. The same goes for guttering systems which sag in spots, especially around corners. And gutter sections that tilt too far forward or backward won’t be effective during heavy rain events. 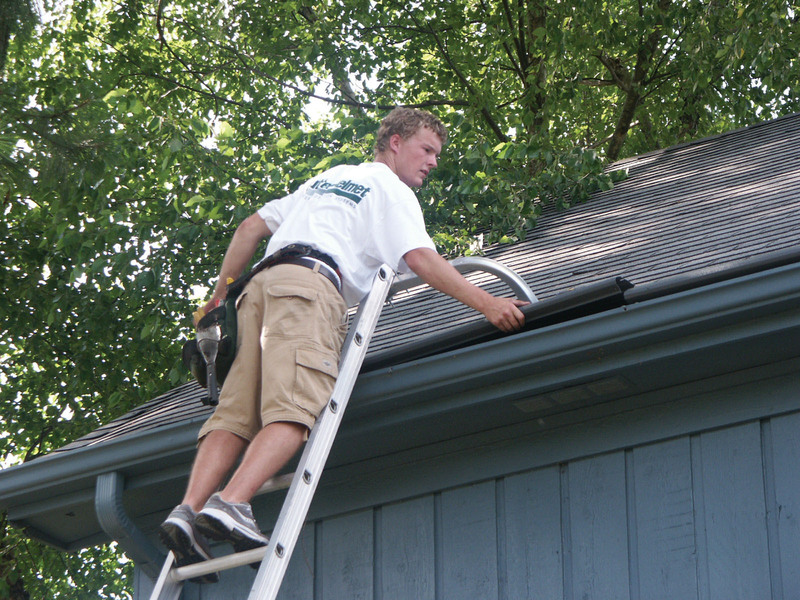 A reputable gutter contractor has the experience to install gutters perfectly the first time. In addition, they also can spot and repair related problems such as rotting fascia boards or eroding shingles. Finally, gutter installers bring all of the bulky gutter materials to your home– and some companies can even create seamless gutters on site that are customized to your home’s measurements. If you do decide to install new gutters yourself, make sure to employ at least one helper, double-check all measurements, and fasten all pieces correctly and sturdily to avoid separations later on. If you opt for a contractor, check the company’s references or reviews, ask about insurance and licensing, and get a written estimate before work begins on your home. Harry Helmet uses durable 32 gauge seamless aluminum gutters for every gutter installation project. Their prices are competitive, and they have a long track record of satisfied customers. In fact, Harry Helmet stands behind its work with a 20-year warranty. So if you decide to outsource your gutter installation, contact Harry Helmet for a free in-home inspection and estimate.